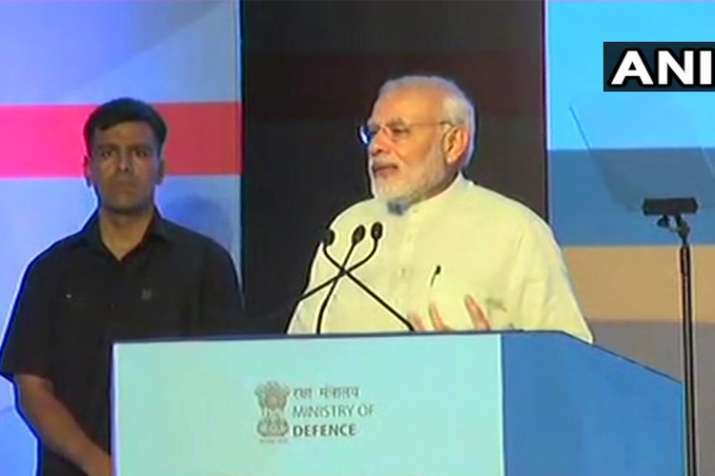 Prime Minister Narendra Modi on Thursday formally inaugurated the Defence Expo 2018 in Thiruvidanthai near Chennai. Prime Minister Narendra Modi on Thursday formally inaugurated the Defence Expo 2018 in Thiruvidanthai near Chennai. The tenth edition of the Defence Expo began on Wednesday. The four-day event showcases India's defence manufacturing capabilities to the world. It will see live demonstrations, flying display and seminars. Later in the day, Modi is scheduled to attend an event in Chennai. Def Expo India has become one of the largest events of its kind in the world over the last 10 years. The DefExpo sees participation from major defence manufacturing nations like US, UK, Russia, France, Israel, Korea, Sweden, among others. According to the Defence Ministry, over 670 defence firms, including 154 foreign manufacturers, are participating in the exhibition of weapons and military hardware. 11:07 am: The Defence Procurement Procedure has been revised with many specific provisions for stimulating growth of domestic defence industry. 11:05 am: We are conscious that defence manufacturing is unique in terms of govt. involvement. You need the govt. to grant a license to manufacture.